Folino Construction offers unique services; site excavation and backfill, sub base and drainage installation, building and site concrete and asphalt paving coupled into one all-encompassing package. Based in Pittsburgh, Folino Construction provides heavy highway and commercial asphalt paving and milling services to municipalities, Penndot, and contractors throughout Western Pennsylvania. 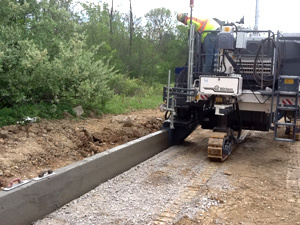 Folino Construction's concrete curb services and innovative curb machine provide clients with cost effective and high production solutions to their site development needs. 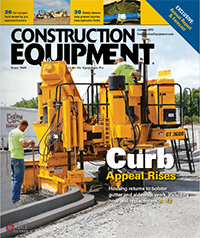 Read how Folino saves valuable time with stakeless and stringless curb work in the January 2015 issue of Construction Equipment. Folino Construction is proud to be the first contractor in the world to use the Wirtgen AutoPilot machine to place curbs and curb islands with a purely CAD-driven automated process that eliminates the need for stringline and curb survey.